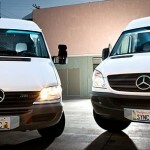 We offer Sprinter Vans and Cube Trucks that are pre-loaded with grip packages. By custom fabricating the interiors of our Sprinters, installing lift gates and pre-fitting all studio vehicles with Truck Gutz™, we’ve created a place for everything, and added mobility with our custom-designed Cartz™ for easy transportation of gear. 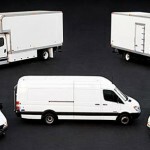 Additionally, our Sprinter Vans are compact yet spacious, easy to drive and have been welcomed in choosiest of neighborhoods. Need something bigger? We’ll deck out a Cube Truck SYNC-style with our custom movable Truck Gutz™ & Cartz™ so that it functions just like our Sprinter Vans.